CTD said its officers surrounded a hideout of the JA in Multan late on Wednesday and ordered the suspects inside to surrender. 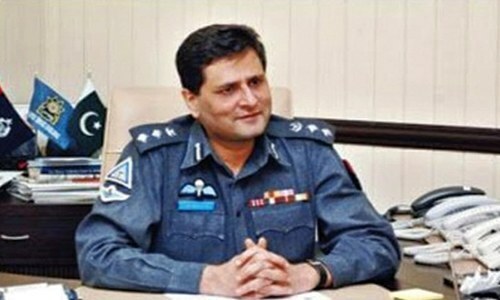 Police acted after getting information that the militants were planning to launch attacks on “vital installations” and the government in the area. 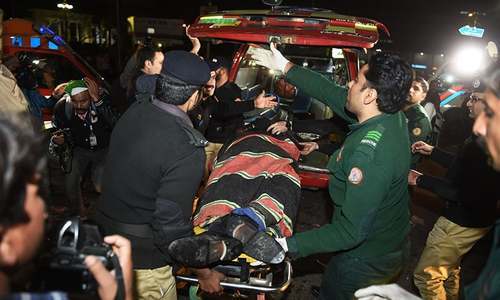 The militant faction claimed responsibility for a suicide bomb attack near the Punjab Assembly in Lahore on Monday that killed 14 people and wounded more than 80. Since then, militants have killed two bomb-disposal officers in the Quetta and a suicide bomber blew himself up outside a government office in Mohmand Agency on Wednesday, killing five people. Also on Wednesday, a suicide bomber on a motorbike attacked a group of judges in a van in Peshawar, killing their driver. The attacks have underlined the threat militants pose to the government, despite an army offensive launched in 2014 to push them out of their strongholds near the Afghan border. Pakistan's foreign office said it had summoned Syed Abdul Nasir Yousafi, deputy head of mission at Afghanistan's embassy in Islamabad, on Wednesday to voice concern about JA “sanctuaries” in Afghanistan. Pakistan says militants launch attacks from the Afghan side of the border. 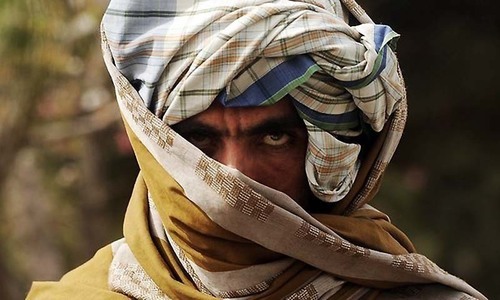 “Afghanistan was urged to take urgent measures to eliminate the terrorists and their sanctuaries, financiers and handlers,” the foreign office said in a statement. Well done CTD. Finish them before they kill more innocent people. Is this really happening or innocent people being killed as to show that Punjab govt. is doing something with efforts of police so that voice to invite rangers in Punjab is blocked. Six militants were killed and only Two Automatic rifle and two pistol were found? Yeah that seems legit ! These militants identities should be made public. why did they let some of them escape? the police in these matters should be given night vision goggles for the Counter terrorism department. Provide concrete proof! Where were these raids before these attacks happened? What's the strategy moving forward. Shame on PML-N govt.! waste of time expressing concern over sanctuaries. they should be bombed out of existence. Arrest each and every senior member of this Jamat and put them behind bars. Shame on you"four escaped under cover of darkness"
All suspected are being killed frequently but we know terrorists are not killed! Who we are killing? Terrorists are alive and enjoying! Everybody knows southern Punjab has been nest of the terrorists for a long time. Punjab needs Karachi like operation by Punjab Rangers. So far, Sharifs have been resisting reason only known to them. Periodic raids on the sanctuaries are mere cosmetics. Just a cover up for consumption by our gullible awaam. How can they escaped? when CTD knows they were going to do an operation so why were they not fully prepared and covered the whole area. Very unprofessional. Thats why Rangers are required who know how to do an operation and search till last person. I am very depressed now. "while three or four escaped under cover of darkness" I don't buy that; Since it shows lack of planning and incompetence on part of police. If a raid was conducted at night then why raiding parties had no night vision glasses so no one would have escaped?? Those that escaped will regroup and come back with more determination. We need to be one up with better strategy and more competence. Poor planning and totally incompetent CTD raid party. Why 3-4 individuals escapped? There should be an inquiry on why this raid failed and how we can improve our operations. There is no excuse for such a botched operation. No wonder terrorists are striking us from all sides. I have a few genuine queries as under- 1. If the CTD did not have proper night vision gear, then why did they raid at night. 2. When there were 10 militants then why was the arms & ammunitions captured so less? 3. Considering that CTD had information & hence I assume that they must have taken sizeable team along, why were they not able to arrest anyone alive when terrorists were so low on arms & ammo? Catching even a single one alive would have helped a lot. One observation is immediately after terrorist activities, bunch of 'suspects' are killed. If such intelligence is available to immediately locate suspects, why not to use it to avoid such tragic incident in first place! Not enough, go all the way to foreign countries and cut of their heads there. Night vision glasses are required immediately and air defence personnel should put on alert. This is very sensitive time. The terrorist plan and hide in the nights and carry out their heinous act in the day time. Catch them in the night and kill them. Scientist should produce nigh vision glasses so that the army can carry out their tasks effectively. Anyone suspect should be stopped at 40 feet distance to take of the cloths. Now even blasts and terrorist attacks stop - the operation against them must not stop until the last terrorist is killed. the terrorists are alert and may hide in local area as well. Find them. Not an easy task but efforts must be taken relentlessly. @The end is near What has been done by our civilian Governments to change terror mindset, which is also essential part of NAP. Nothing except rhetoric / catchy slogans. Unless terror mindset is changed and terror financing is blocked, you cannot eliminate terror.